It was definitely not required. Nor was it actively sought. And still, it is probably something that most of us crave. When, after more than three years in Canada, my parents finally came to visit, their approval of my new life was certainly on my mind. What would they think of my apartment? Would the creaky stairs and the crooked floors scare them? Would they pitty me for the lack of a dishwasher, and the antiquated stove? Or would they follow me, and succumb to the charms of a centenarian townhouse in walking distance to one of North America's most exciting city centers? The stakes were high, and the floors polished accordingly. Fortunately, nature cooperated and Montréal presented itself in glorious sunlight. So much so, in fact, that the hot and sultry days evoked our Mediterranean summer holidays of yesteryear, rather than the icy Great White North. As we cycled along the canal, strolled though the cobblestoned streets in the Old Port, and sipped our espressos on a sun-soaked terrasse, Montréal started to work its magic. With every course at the French-inspired dinner venues (those that had not been converted into Argentine steakhouses overnight, at least), the charme and bon goût of the city took more hold, and the profound appeal of life in this place became more tangible. Knowing each other as well as do father and son, we realized what matters most to each other, and just as I was delighted to showcase my favorite fromageries and boulangeries, my guests shared tales of the province's most stunning golf courses (fifty shades of green, anyone?). Yes, we agreed, with its eclectic mix of franco and anglo, of Old Europe and New World, Québec holds something for everyone. Never mind high taxes, crooked floors and deficient public transit, this is a good place to live. 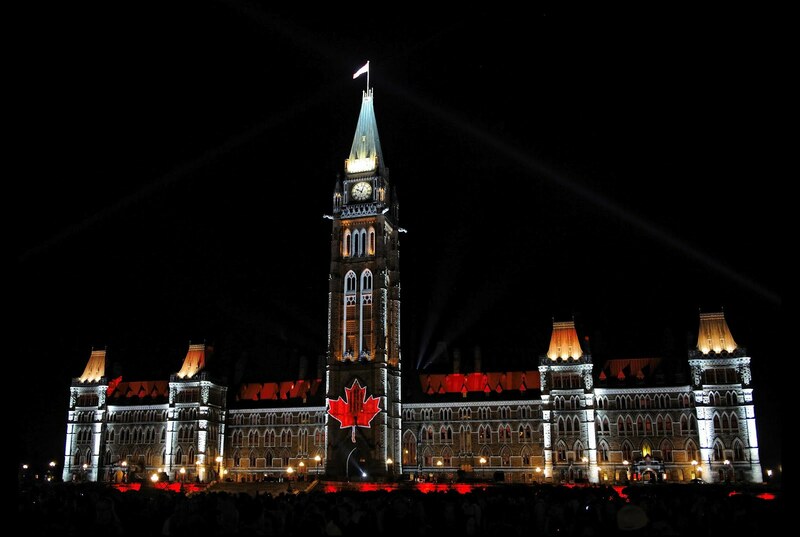 As if to underline the point, the visit ended with an inspired and inspiring light show on Parliament Hill, in the nation's capital. 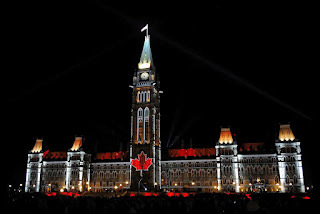 Canada, the presentation concluded, is a quest. Canada is what you make of it. And my parents smiled at me. They had understood. They approved.